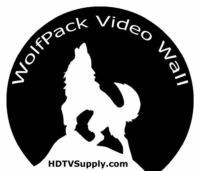 HDTV Supplys WolfPack 4K 3x2 Video Wall is the easiest to configure and install 3x2 video wall on earth as we send all the hardware and software to you to make it near Plug-N-Play. Just install the WolfPack Transmitter at the video source, attach it to our our special Gigabit managed switch, plug the 6-WolfPack Receivers at each of the 6-screens. The 3x2 Video Wall is usually up and operating within an hour after hanging your 6-TVs, wiring the 10-CATx cable, plugging in the 7-HDMI cables & logging in with your browser to set everything from your laptop and you′re done. You will also need 6-matched TVs and wall mounts (not supplied). HDTV Supplys WolfPack 3x2 Video Wall uses Gigabit compression technology to send a visually lossless HDMI video signal up to a 4K2K image and 8-channel digital audio across a 1000BT LAN (UHD over IP) to 6-widescreens up to 400-feet away via one CAT6 cable per display. Use the 3x2 Video Wall in malls, sports bars, factories, conference rooms and similar without having to purchase expensive PCs and impossible-to-operate video wall processors. NOTE: Optionally if you also need each one of the 6 - widescreens to display a different picture (like 6 - football games) you can buy the above 5 additional HDMI transmitters and turn the 3x2 Video Wall into a 6x6 matrix also. 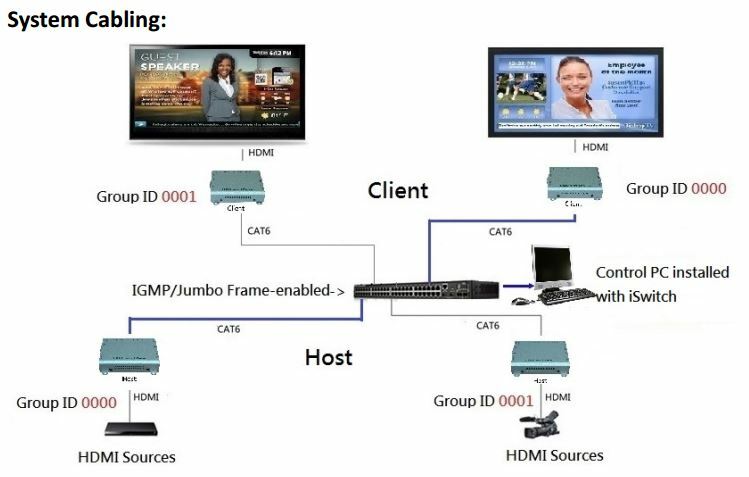 You will also need 6 - HDMI sources like 6 - DirecTV receivers (not supplied) and 6 - TVs (not supplied). Scaling: HDTV Supplys WolfPack 3x2 Video Wall system allows you to mix-n-match TVs with different resolutions. No need to upgrade every TV to 4K as our receiver in our 4K HDMI Over IP system features a built-in scaler that downscales 4K to 1080p for viewing on 1080p projectors or TVs. You can instantly switch between source devices also which many HDMI matrices cannot do. Why not buy this 3x2 Video Wall today? 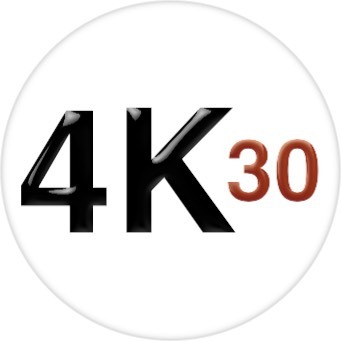 HDTV Supply is a leader in supplying 3D equipment for this new, fast growing 3DTV market. Our test lab includes the latest equipment for designing, testing and supporting 3D video equipment. The chips sets we use support the below 3D formats and work with many of our HDMI 1.3 and HDMI 1.4 compliant devices. This 3x2 Video Wall supports these 3D formats: HDMI 1.4b with 3D TnB, SbS and F.P. Q: Can I use a Microsoft IE browser with this 3x2 Video Wall? HDTV Supply includes a 1 Year Limited U.S. Warranty on this 3x2 Video Wall. The U.S. warranty states that (a) its products will perform substantially in accordance with the accompanying written materials for a period of 1 year from the date of receipt & (b) that the 3x2 Video Wall will be free from defects in materials & workmanship under normal use & service for a period of 1 year. In order to get a warranty replacement for a defective item, HDTV Supplys Support Team will verify the product is eligible for warranty. An RMA number will then be issued. Shipped replacements will be in like new conditions, tested & all components included. A 30-day RETURN also comes with this warranty as well as Free Lifetime Tech Support. HDTV Supply also sells a 3 and 5 Year Extended U.S. Warranty for this 3x2 Video Wall. Please go to Extended Warranties or see the above Options to purchase it.